The NFS Map & Recreation Guide covers the Sierra Buttes as well. North of Gold Country, the granite spires tower above the North Yuba River. Sierraville, Sierra City and Downieville, the mountain bike mecca of the Northern Sierra Nevada. Plumas-Eureka SP is also featured on this particular map. 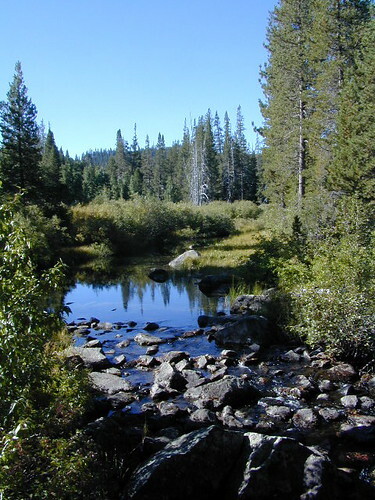 This region is river & lakes, high country up here, with the Lakes Basin Recreation Area (only accessible for half the year, due to snow pack).